Remember my post on the launching of US Fries & Burgers Fiesta 2016 in Kuala Lumpur? 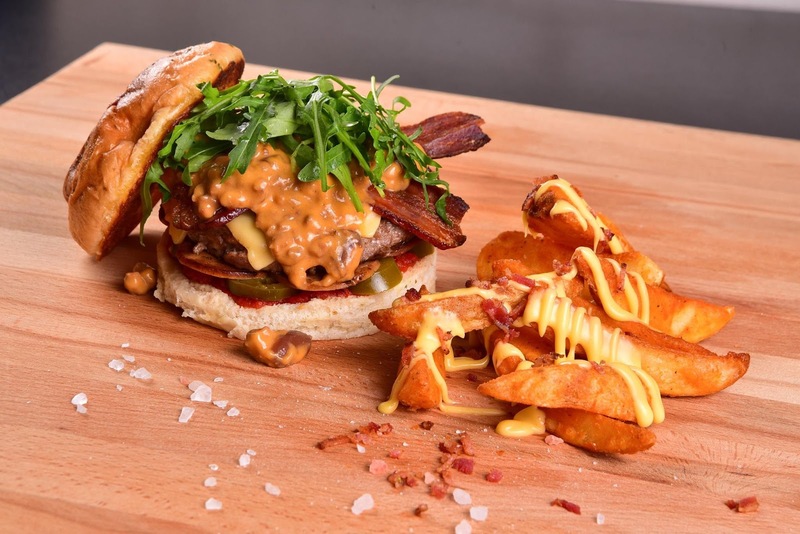 It's been going on from 1st-31st May, and 19 different cafes and burger joints in Klang Valley areas has started showcasing their special U.S fries and burgers menu for public to try out. Not wanting to miss out on all the gastronomic fun, I went to check out two of the participating outlets over the past weekends with my foodie buddies (read: food bloggers). Our mission? To try both of the featured menus in each outlet. Vanquish Fat Reduction Treatment at Premier Clinic, Bangsar. I struggle a lot with weight management since as long as I can remember. Born a chubby baby, the fact that I enjoy different types of foods while growing up on top of my craving tendency when it's 'the time of the month' doesn't really help with my weight issue. I realized crash diet is not effective at all. Starving myself will give the opposite result which normally includes a bad case of gastritis attack. The best way to lose weight is to control my meal portion (challenge number one) and exercise regularly (challenge number two). Yeah, I know what should I do. I'm just bad at realizing it. So, I need help. A motivational push. Affordable Luxury with Haftarent: House Hunting Made Easy! Edit: TrupCotel is now known as Haftarent. House hunting is hassle full but thanks for the advancement of science and technology (specifically, the internet), even this long and arduous task of finding the perfect place to call home can be simplified. Introducing TrupCotel, a one-stop property to tenant matching service to ease the rental process for your executives! Yes, old style house hunting is time-consuming. With TrupCotel, you will be able to skip all the tedious processes and let the professional do it for you. Just a click away! Hello to US Fries & Burger Fiesta 2016! Do you know what else that goes as well as bread and butter? It's fries and burgers! Everyone who agree with me on this, let your tummy rejoice as the US Potato Board has kicked off its first U.S Fries & Burger Fiesta in Kuala Lumpur! Starting from 1st-31st May 2016, a variety of unique creations of U.S fries with burgers which have never seen before will be available at 19 popular burger joints and cafes in Klang Valley. Mother's day is coming up tomorrow! Are you done planning a special surprise for your mom or still thinking about it? Because if you are looking for somewhere nice to spend time with your mom tonight *calling last minutes procrastinator like me hehe*, how about a nice BBQ Buffet Dinner at Kontiki, Federal Hotel International? Located at one of the crowds' favourite part of Kuala Lumpur, the venue is easily accessible by public transports like Bukit Bintang monorail station or you can just Uber your way there! Use my code UBERXANIS for a free first ride *wink* If you need a landmark guide, look for Low Yat Plaza lobby and you will see the hotel nearby.